Push factors such as conflict and drought appear to play a more substantial role in the region’s urbanization than elsewhere. Urbanization in Sub-Saharan Africa is taking place at lower levels of income per capita than it has in other parts of the world. Slum populations appear to be growing faster in Sub-Saharan Africa than elsewhere in the developing world. Higher shares of slum dwellers present present a number of challenges for development—school attendance and female labor participation tend to be lower in slums, health indicators such as the infant mortality rate tend to be higher. At one point, Buckley asked why cell phone penetration was growing rapidly in Sub-Saharan Africa while access to toilets (still relatively rare) was not growing? Source NYU Stern Urbanization Project Brown Bag Discussion Series. 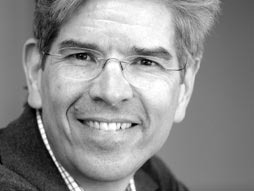 The Urbanization Project is now home to Paul Romer.